friends and family on board Freedom pod. Freedom means you can hire from any day, to any day. Freedom pod makes it great value too. 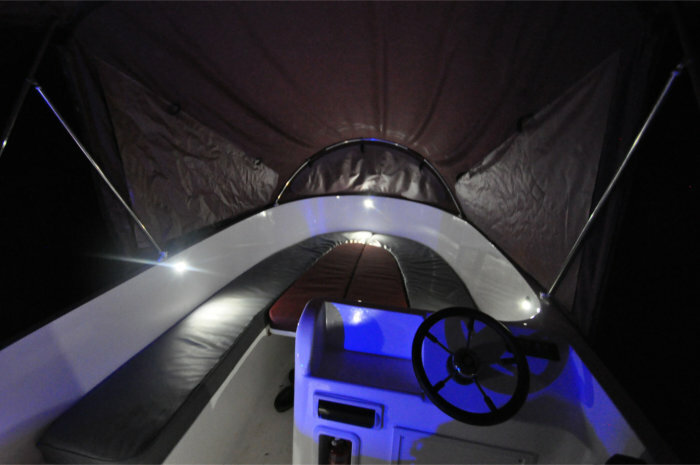 pod is a multi-purpose vessel, ideal as a day boat and perfect for simple overnight use also. 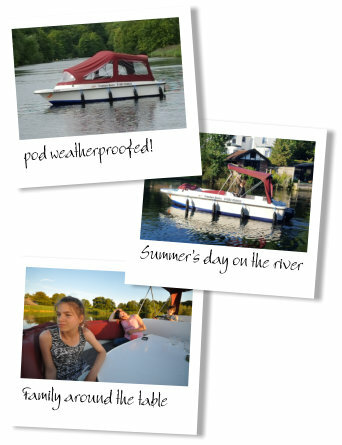 Freedom Boating Holidays is proud to present Freedom pod, a brand new, exclusive vessel on the Norfolk Broads. 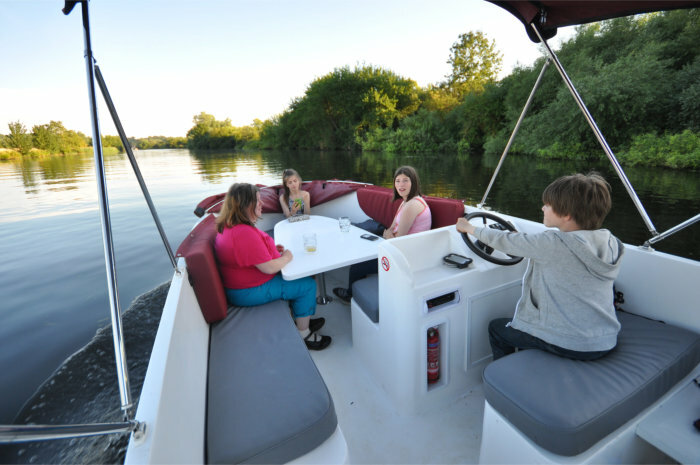 Offering probably the best day boat hire experience for up to eight people anywhere on the Broads, Freedom pod can also be used for simple, overnight camping (Flamping) for up to three people. 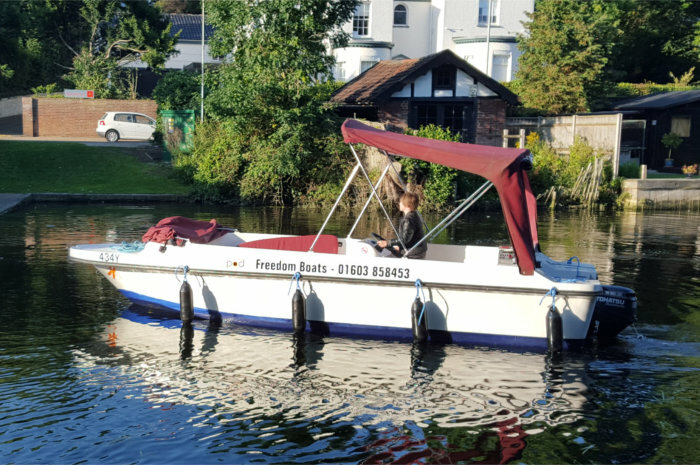 Freedom pod is a unique hire boat, designed to provide low cost overnight accommodation whilst offering the essential facilities for a night on the water. 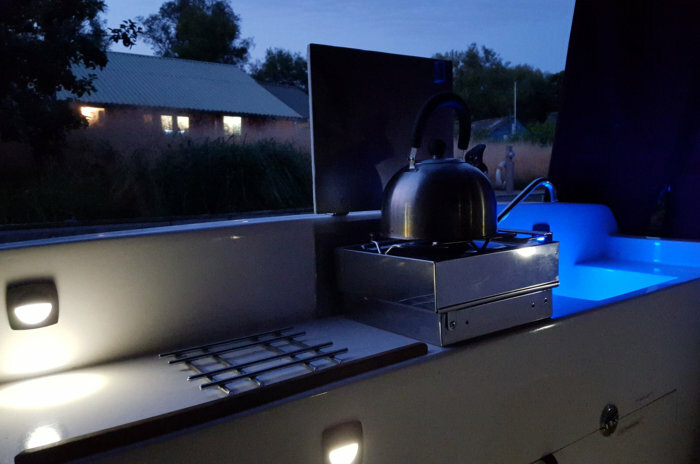 Don't expect bells and whistles - pod offers a unique but simple floating camping experience giving you direct access to the Norfolk Broads whilst remaining camping which is almost unique in itself as there are remarkably few directly riverside campsites anywhere on the rivers. Flamping with Freedom is an inexpensive break; sure it's more expensive than a pitch at a campsite; but at a campsite you have to take your own tent, cooker, air bed or sleeping mat. You can't just pick up your tent and move it three miles away and pitch it up again either. Flamping is the new Glamping! 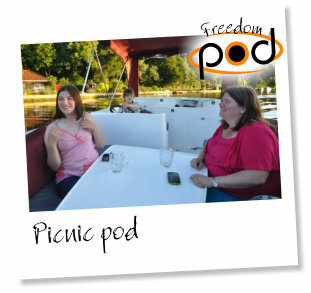 Take Freedom pod out for the day to experience quiet boating around the table with friends. Everything you need on one, simple, well-designed, quiet boat. 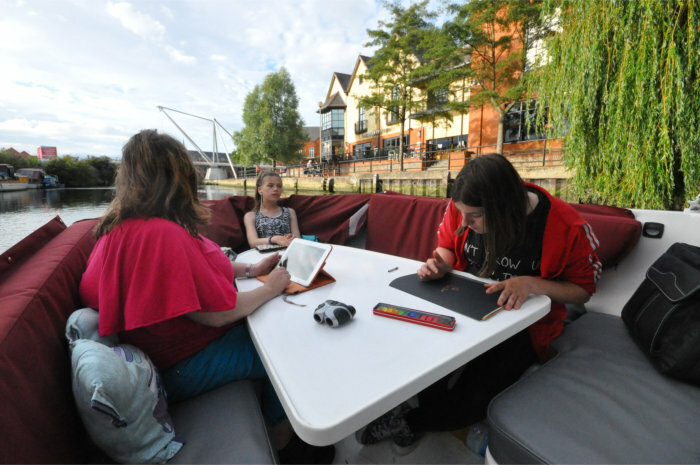 Freedom pod takes up to eight people with the main party around a central table with the helmsman just behind, pod is the perfect space for everyone to enjoy a day out. 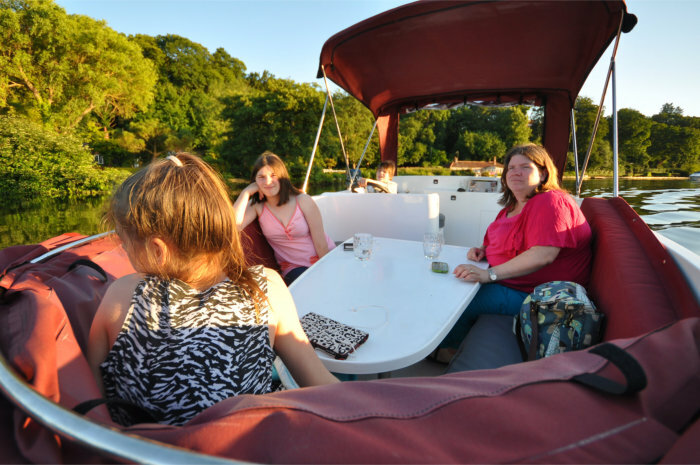 Most picnic boats have noisy diesel engines that can be difficult to talk over. Freedom pod has a very quiet outboard engine with simple controls. Freedom pod offers a table, seating for eight people, single burner stove, cold running water, emergency loo, radio/cd player, lighting and a full canopy should the weather turn. 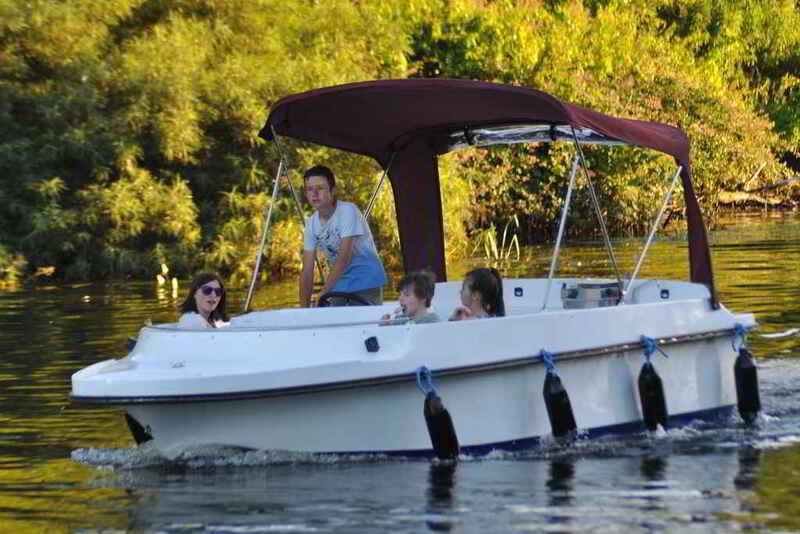 Freedom pod is a day boat, a picnic boat and a simple over-nighter boat all in one. 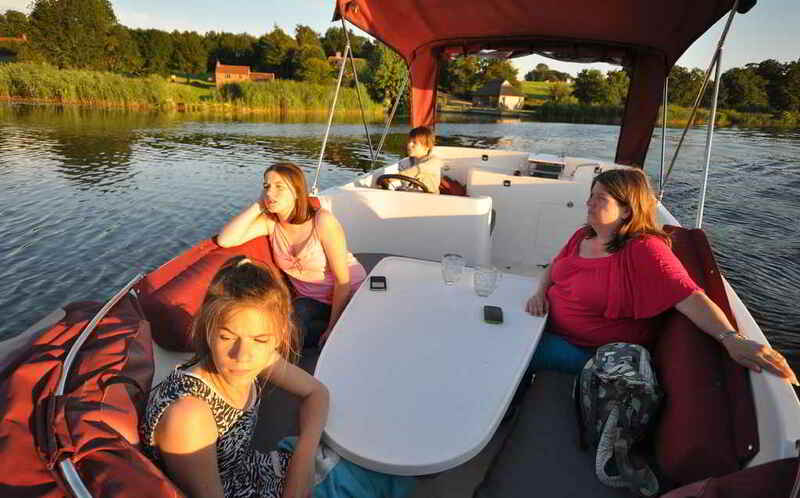 Enjoy the simplicity, safety and comfort of pod and explore the Norfolk Broads. 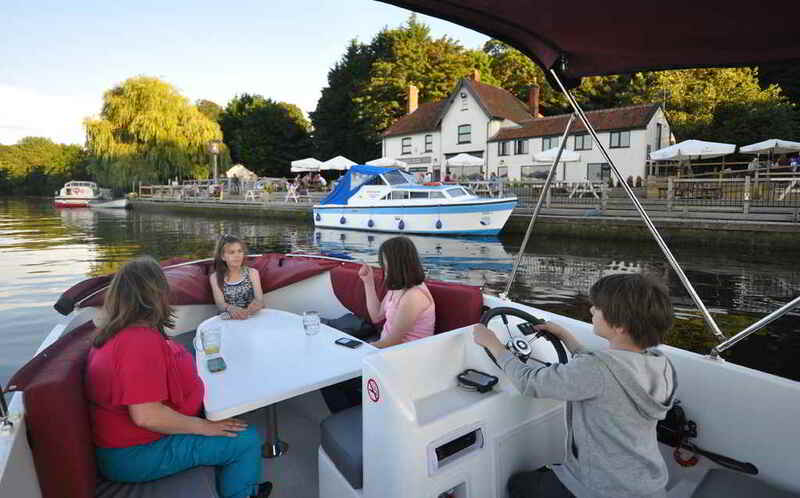 Easy to handle and fits under all bridges, Freedom pod gives up to 8 people a great day on the Norfolk Broads. pod easy turns into a cosy, private sleeping space with comfortable berths, lighting, toilet and simple cooking facilities. Clever design allows us to offer pod at a low price whilst incorporating all that's important for simple overnight accommodation. In recent years, there have been few developments in day boats and low cost overnight hire vessels. 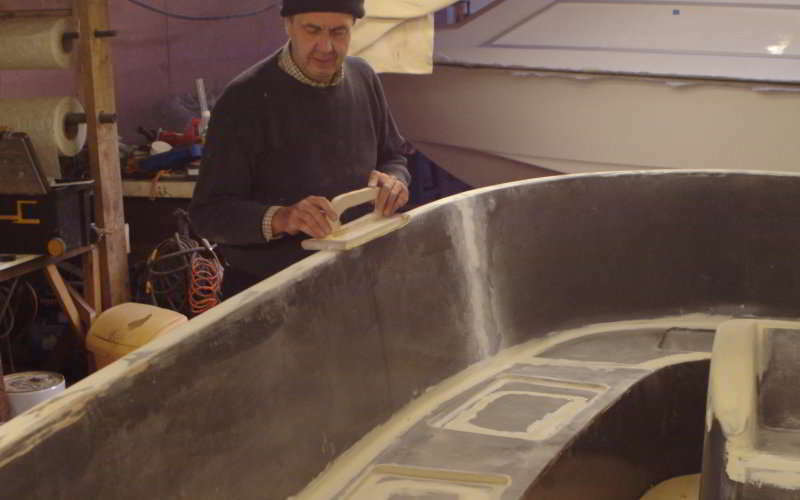 In fact, as you might expect, the majority of new boats being built by other boat yards are larger, expensive, plush boats purporting to have modern conveniences on board to make your holiday more like a floating apartment than a boat. Freedom pod strips this all back to the minimum. 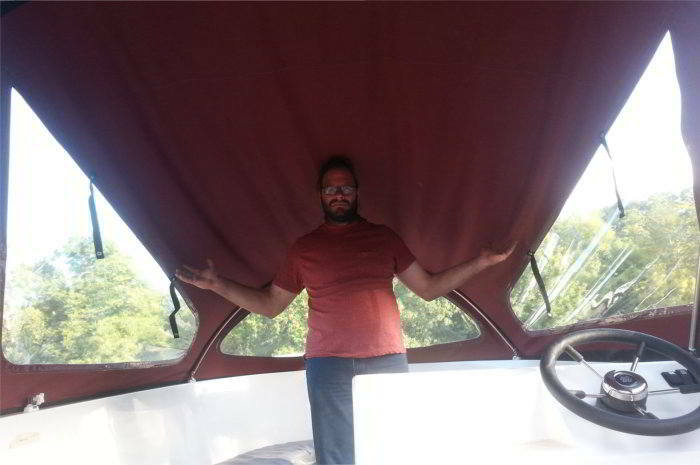 pod is about boating. pod is about being affordable. It's like a rock band doing an unplugged album; it's still a boat, it will still get you from A to B; it's still comfortable and hugely enjoyable, but it's stripped back, aimed fairly and squarely at those who like simple things that aren't over-complicated and aren't expensive; in short it will appeal to those who like camping. There are precious few river side campsites on the Norfolk Broads, but choose Freedom pod and you take your campsite and tent with you. Whether you moor up at a pub or in the middle of nowhere, pod provides all the essentials for a night of camping including a picnic table, loo, sink, hob, radio and bed for up to three people; not forgetting the tent itself. 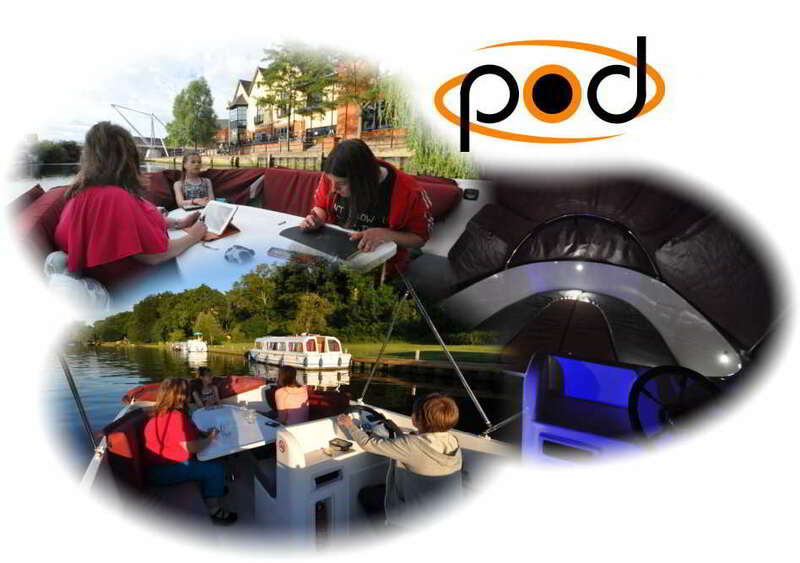 pod is made in the same way as a £2000 per week cruiser. It is well built, strong and comfortable. 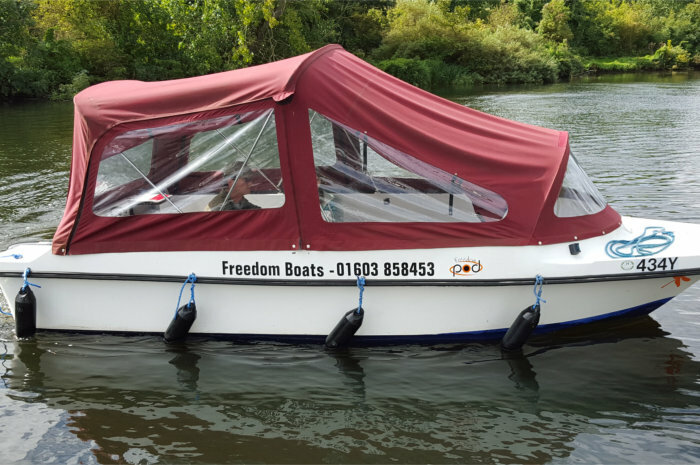 Freedom is able to offer it at an affordable price because there are fewer fittings and it is very easy to clean and service; therefore our ongoing work required to prepare the boat for hire is low and this plays a key part in the pricing. 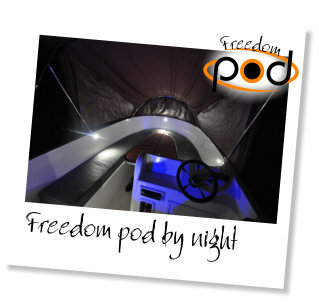 Overnight boat hire is inexpensive with Freedom pod. Our pricing is simple and offers amazing value for money. 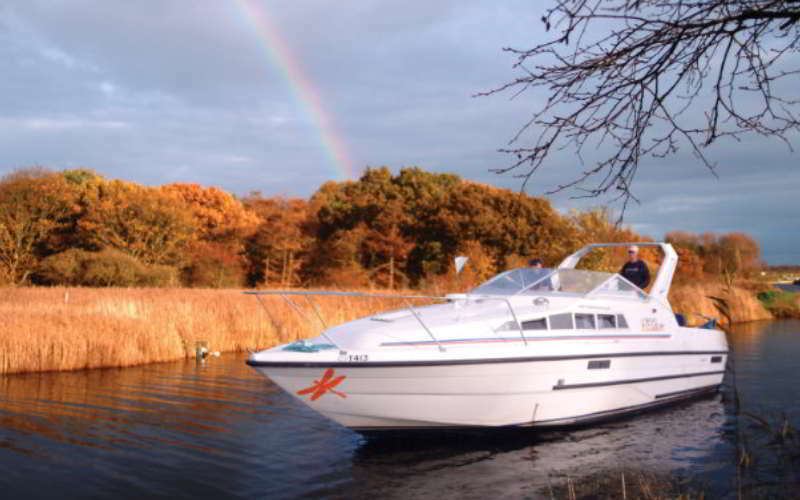 A comprehensive breakdown of prices and hire options can be found on our Norfolk Broads Day Boat web site. Prices are as low as £130 overnight in low season, rising to £150 overnight in high summer. Some proce examples are below, but please visit our day boat web site for full price details. 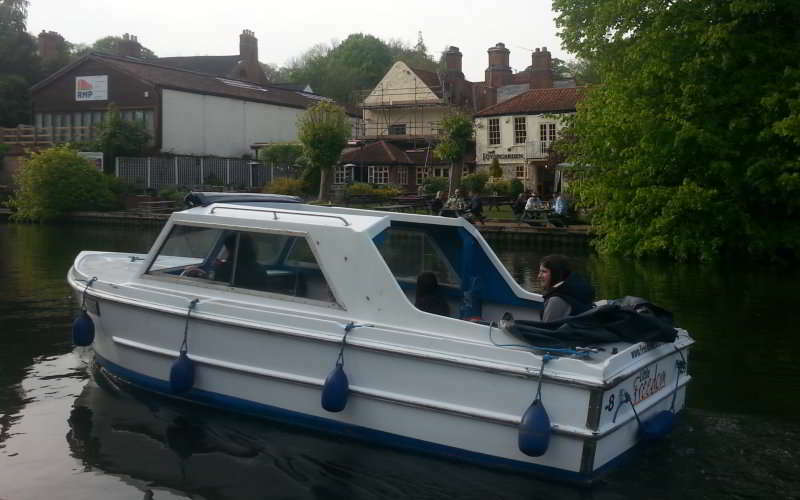 Check Day Boat Hire web site for full date breakdown. pod is available from 9:30am to 4:30pm. Other times may be possible by arrangement and extra cost.